For nearly two decades, the Shelby Design Center has provided quality home lighting and carpet flooring to Michigan residents. As a top lighting company in Shelby, our business is able to offer the best products at the best prices. No matter what you need to turn your house into your dream home, our retail lighting experts are here to help. While our dedication to customer service excellence helps make us a top provider of contemporary lighting, the real advantage comes from our cooperative, which includes over 1,000 other independent businesses. Lighting One and Carpet One Floor are the flagship entities under which all of our business partners operate. Working in cooperation with other lighting stores gives our location numerous advantages in today’s competitive marketplace. 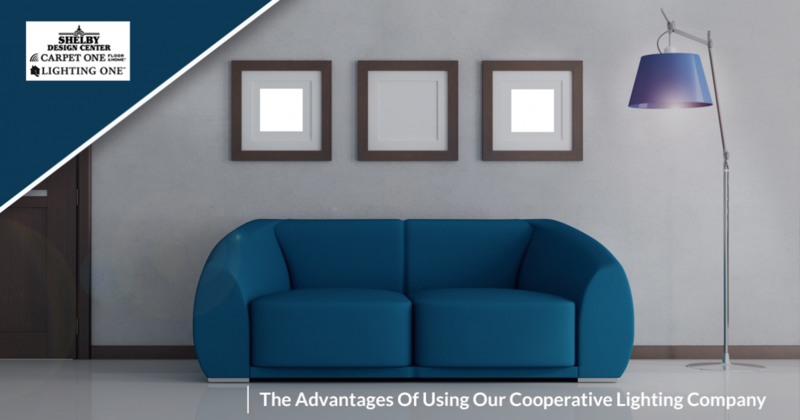 Today, we’ll take a look at some of the advantages our lighting co-op offers you as a discerning customer. With so many positive aspects of our business, it should be easy for you to imagine obtaining your ideal living space! Working with a cooperative gives us the power of a far-reaching inventory. Shelby Design Center is able to avoid the pitfalls of many lighting showrooms by offering more choices in lighting. You will have more to look at, as our inventory is always full of fresh, modern lighting options. Don’t see anything of note? We can find what you’re looking for! Whether you wanting to be inspired or have a specific style in mind, our lighting experts can assist in finding the perfect product from one of our many co-op members. Featuring over 30 suppliers across the country, Lighting One is able to provide a plethora of styles and designs to provide the ideal option for any customer. The support system associated with our lighting cooperative helps to give us a major advantage in the industry. By harnessing a nationwide collection of showrooms and experts, Lighting One is able to build productive relationships that emphasize the importance of quality in training. When you stop by to visit our lighting company in Shelby, you’ll undoubtedly be impressed by the caliber of experience each one of our retail lighting experts holds. Don’t be left chasing for leads while dealing with incompetent staff! Our Shelby Design Center provides the best lighting solutions for any room in your house. Come in today to see our quality of expertise in action! Shopping with a nationwide lighting entity may sound intimidating. Even if this lighting store resides here in Shelby, how do I know that my money will be put to good use? The beauty of our cooperative comes from the lack of intervention that comes with many incorporation processes. Our lighting store is locally owned and operated, with no outside sources changing the company structure or mission. The spendings at our Lighting One location will go right back into the community. Retaining our independence is a major benefit with this co-op. The goal of the cooperative is to offer logistical and product support to small businesses, leaving their business style intact while providing numerous benefits. 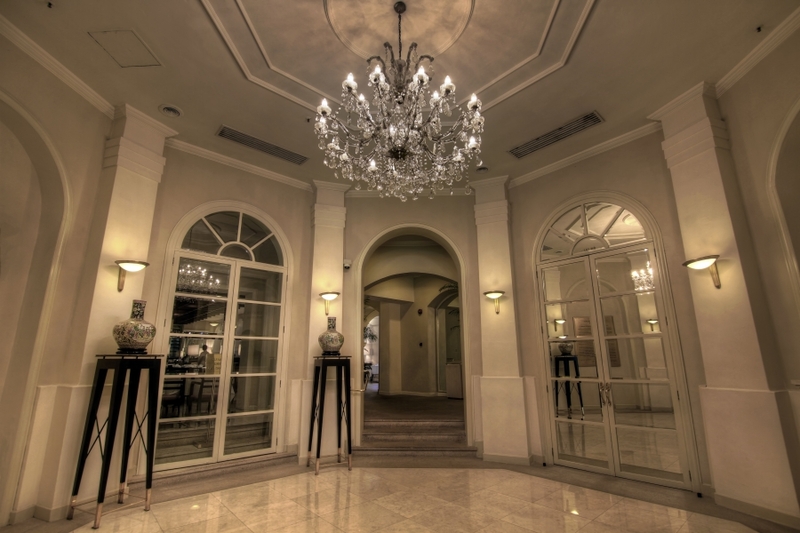 Vast lighting selections and experienced, knowledgeable associates are the cornerstones of our business. Since this is America, though, we understand the value of the dollar. Working with a co-op helps to minimize overhead costs while providing better products at more affordable prices. Lighting One passes these savings onto our customers in order to provide the most affordable prices on the highest-quality products. Homeowners and contractors alike can benefit from this statement, as small savings over the course of a project can equate to big savings once all is finished. The goal of any modern business should be to provide the best products available to customers while minimizing the overall costs of the entire operation. Our Lighting One cooperative helps to give us a competitive edge in this industry. As a customer, you can expect the best when visiting the Shelby Design Center. Our focus on quality and personal service helps us to be a top lighting company in the Shelby area. The cost and quality of our products work in tandem with our service to help you create the home of your dreams. If you can dream it, our experts can help you do it. Contact us today to learn more about our top-notch co-op or come in today to see our vast lighting showroom today!